This simple single Point Sling allows you to retain control over your personal weapon even when you need both hands free or when needing to transition to a backup sidearm. 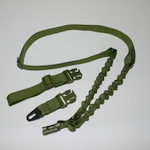 The tough 1 1/4 inch nylon webbing is adjustable to fit over body armour or load bearing equipment. 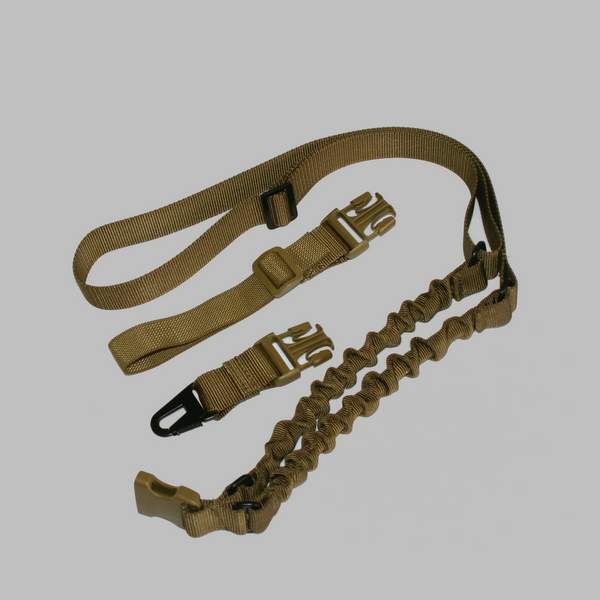 The dual bungee design helps reduce weapon bounce and enhances comfort and support as well as weapon retention. Attachment to the weapon is by metal spring clip or webbing loop, allowing this sling to be used with either fixed or folding stock weapons. 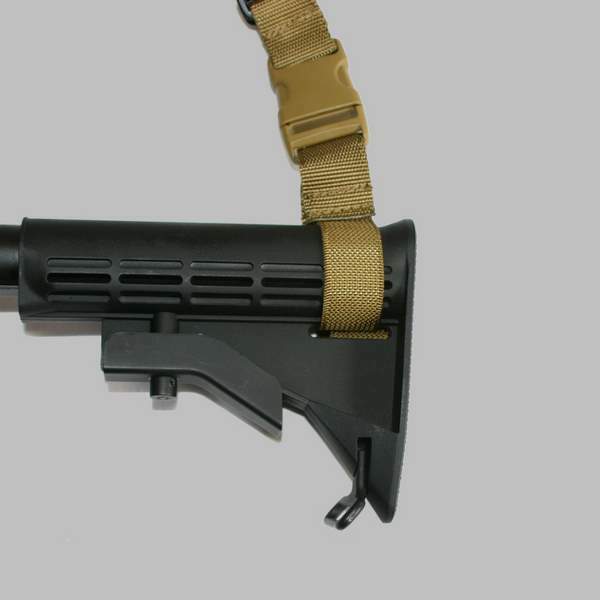 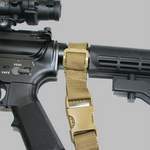 A side release buckle allows complete removal of the weapon without the need to remove the sling from the user. Available in either Olive Green, Coyote Brown or Black versions.